Mark Ingram might be leaving the Saints to play for the Ravens, but his heart will always be in New Orleans. Yesterday, the 29-year-old Saints running back took to Instagram with a heartfelt “thank you” for fans, the Bensons, Sean Payton, and more. On March 13, Ingram signed a three-year, $15 million contract with the Baltimore Ravens, ending his eight-year run with the Saints. 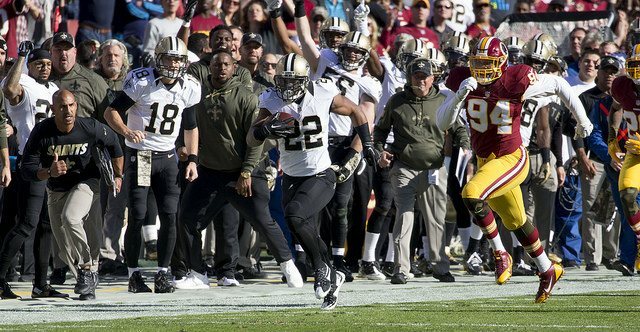 It was a move that has been met with dismay by both fans, and fellow Saints players.